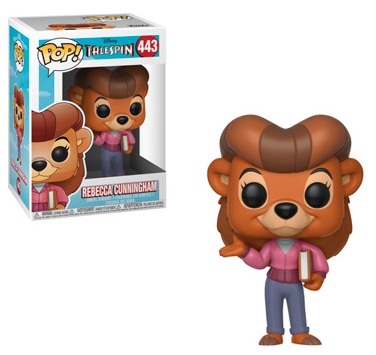 The Disney Channel series from the 1990s gets another run thanks to Funko Pop TaleSpin. 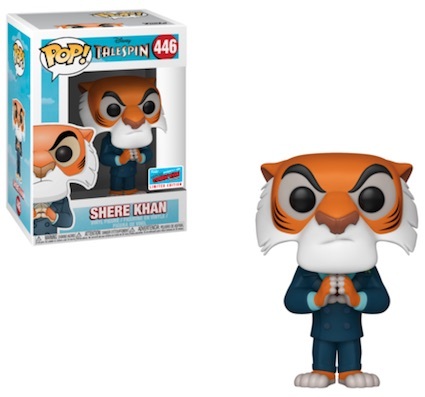 The classic animated characters go full Pop! 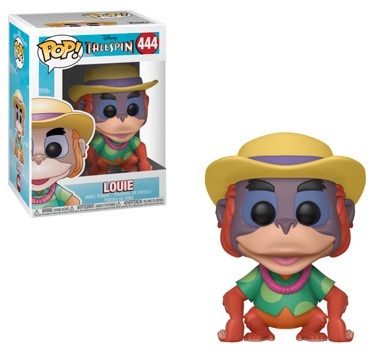 vinyl, with limited exclusives and chase variants to track down. 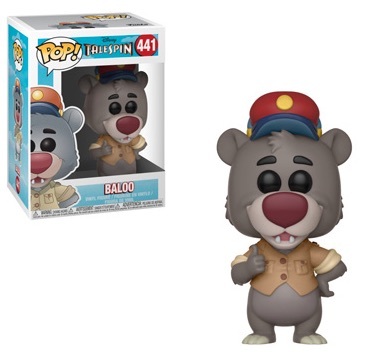 Tapping into some of the key subjects from Disney's The Jungle Book movie, TaleSpin may have familiar faces but the stories center around Baloo's Air Service, a cargo delivery business based in Cape Suzette. 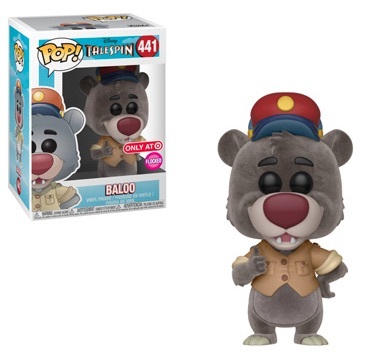 A friendly sloth bear, the Baloo figure comes dressed for flying. 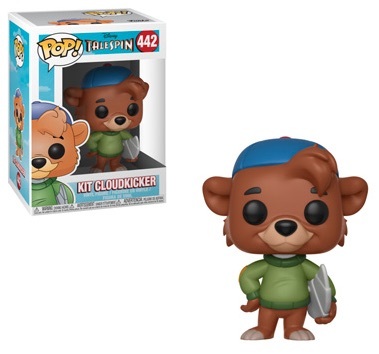 He is joined by his brown bear cub navigator, Kit Cloudkicker, and lady (bear) friend, Rebecca Cunningham. 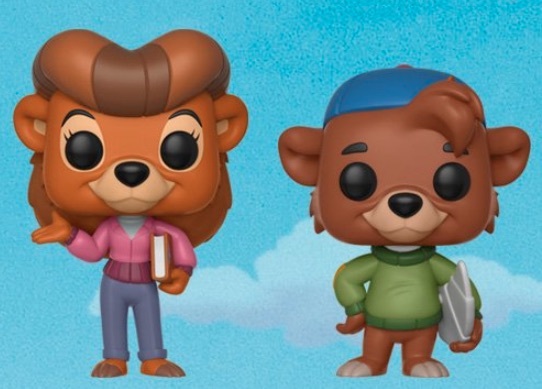 Shop Funko TaleSpin Figures on Amazon. 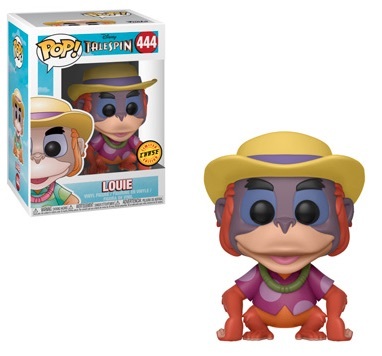 An orangutan that owns Louie's Place, a local bar, the easy-going Louie provides a base figure and chase variant (at 1:6 boxes). 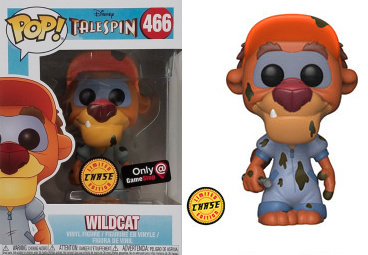 Although the two versions are very similar, the chase figure wears a purple Hawaiian shirt while the main option is found in green. 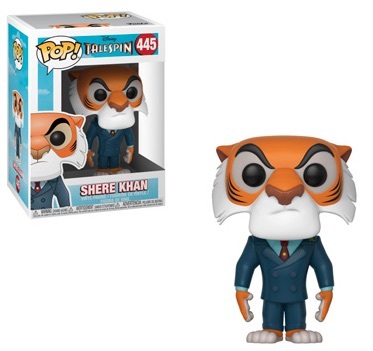 The Bengal tiger in a suit, Shere Khan is all business with an unpleasant look on his face. 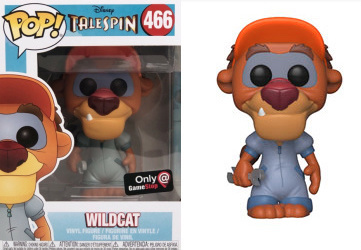 FUNKO POP CHASE WILDCAT DISNEY TALESPIN FIGURE GAMESTOP #466 BRAND NEW! IN HAND!